In 2020, the ESRF will restart with a brand new source, the Extremely Brilliant Source (EBS), and the challenge for our scientific community will be to learn and understand how to fully exploit the properties of this new source to enhance the scientific research carried out at the ESRF. To this end, the ESRF is organising a series of "EBS Workshops" in 2019. These workshops will cover a multitude of topics, with the aim of gathering together users, staff and other experts to discuss and identify strategies for performing the best experiments with this new source. This webpage gives an overview of the EBS workshops being organised, and the information shown will be continually updated as workshop dates are finalised, registration deadlines are set and workshop web pages appear. Please remember to check this webpage regularly to avail of the latest information. The EBS will be a great improvement for laser pump/X-ray probe experiments on ID09. However, the ultimate time resolution in pump-probe experiments is limited by the X-ray pulse length which will remain 100 ps from the EBS. The FXE beamline at the EuXFEL has similar setups to ID09 but the time resolution is dramatically lower (< 100 fs). The aim of the workshop is to discuss the overlap and complementarity of the two beamlines and to strengthen the collaboration. With the new Extremely Brilliant Source, the nuclear resonance beamline will offer users an order of magnitude improvement in energy resolution (50 µeV) and two orders of magnitude improvement in beam size (200 nm × 200 nm). The aim of the workshop is to discuss and identify key scientific cases which will benefit most from nuclear resonance scattering with the Extremely Brilliant Source. ID20 hosts a worldwide unique spectrometer to study low energy absorption edges using hard X-rays. The workshop aims to bring together experts and novices in the field to collectively assess and discuss the current status, potential, and future prospects for this emerging inelastic X-ray scattering technique. We wish to strengthen the current user community, define future research directions, and guide the worldwide efforts to build new dedicated end-stations. The workshop aims to clarify the current state of the field and identify the opportunities created and challenges posed by coherent X‐rays when applied to real world systems, in terms of in‐situ, operando capabilities, precision and resolving power. The outcome will drive the future directions for development and application of the beamlines exploiting coherence and in particular the new EBSL1 beamline dedicated to dynamical and structural studies in soft and hard‐condensed systems. The heterogeneous devices which will play a role in the future green energy economy, such as batteries, solar cells, super-capacitors etc, rely on complex interactions over many length scales. This workshop will focus on the application of established and emerging synchrotron experimental techniques to understanding problems from the energy sector, and investigate new opportunities following the ESRF EBS upgrade. The workshop will be a fruitful forum for informal discussion of new results and future projects of SR-based research in magnetism, serving also to form new collaborations. Recent achievements and discoveries based on the application of a large variety of X-ray spectroscopic techniques to materials with intriguing magnetic properties will be highlighted. 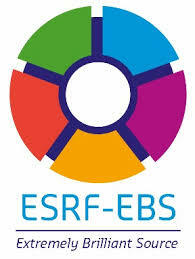 The emerging new opportunities for magnetism research offered by the ESRF-EBS project will be thoroughly discussed. The dramatic increase in the brilliance from the EBS will be a great advantage for all time resolved experiments and many experiments will be done with very short or even single-pulse exposures. The aim of the workshop is to discuss how to prepare the beamlines involved in scattering (SAXS/WAXS), spectroscopy (XES), imaging (XRI) and diffraction (XRD) applied to dynamic compression and/or structural dynamics studies for this new era. Several beamlines at the ESRF have added X-ray emission spectroscopy (XES) to their portfolio and further installations are planned with EBS. The aim of this workshop is to give an overview of the new possibilities provided by XES and to obtain feedback from the user community concerning pertinent applications that require further instrumental development (e.g. sample environment, time and spatial resolution). The interaction of X-rays with a sample or its environment may affect an experiment in an undesired fashion. This may concern the atomic structure, crystal structure or chemical state (radiation damage) but also other parameters such as sample temperature and sample environment (gases, liquids). This workshop will provide a forum for discussing our observations and proposing measures that address the problem.